Jestofunk were founded in 1990 by three Italian DJ's: Claudio 'Moz-Art' Rispoli, Francesco Farias and Blade. Together they produced I'm Gonna Love You, which at the time was a sort of revolution in Dance music: for the first time Funk was incorporated with House in a perfect fusion. The first single was followed by Say It Again, Can We Live and in 1994 by their first album Love In A Black Dimension. 1998 sees the release of second album 'Universal Mother' featuring, among other gems, 'Special Love' sung by Jocelyn Brown. 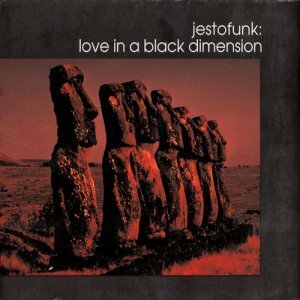 In 2003 Jestofunk released their third studio album Seventy Miles From Philadelphia, following a Live album in between the two studio ones. In 2005 they release The Anthology, the first collection of their hit singles, complete with remixes by legendary House producers.